Luxury limos, vans, minibuses and buses hire with driver. Limousine Service Warsaw – the highest quality service at most reasonable price and always on time ! Welcome to MyLimo – Vip Limousine service in Warsaw. In a matter of few moments you will find a perfect vehicle with the best chauffeur service available in Warsaw for that special occasion. Established in 2007 by Maciej Skierkowski- limousines Warsaw is the number one limo hire company in Poland! Our company’s reputation has commanded great respect from customers from all around the world, as well as officials and business partners. 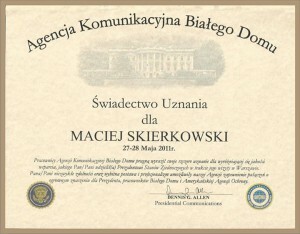 We are recognised for the high quality chauffeured services performed in Warsaw, Poland‘s capital. To Your disposal we pass something more than luxury limousines. Our success is built by our brilliant drivers – english speaking, qualified specialists with great experience. Just with a click of a mouse button, You are welcomed to order an ideal vehicle from our Warsaw limos which open a world of possibilities. It includes vip transportation, airport shuttle in Warsaw as well as concierge limo services. Local, proffesional chauffeur in premium vehicles are at You convenience after easy and fast booking. 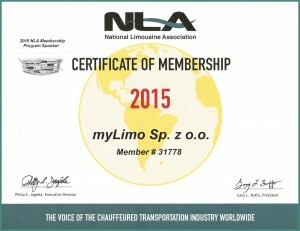 MyLimo offers limo hire in Warsaw that focuses on service, quality nad vip standard performence. Limousine service in Warsaw is a perfect solution to getting around the city in style. Whenever You need a reliable limo transportation, MyLimo is always there for You and Your business. Limousine fleet is the first-class, customised service, riding experience that is available 24 hours a day – 7 days a week. Outstanding vehicles from Mercedes and BMW, brands well known for their luxurious taste and convenience. Contact us now to arrange your cutomized limo transportation for the upcoming trip- satisfaction and a taste of luxury is guaranteed.